Indulge in the beauty of “a city in spring” and enjoy its fascinating location. 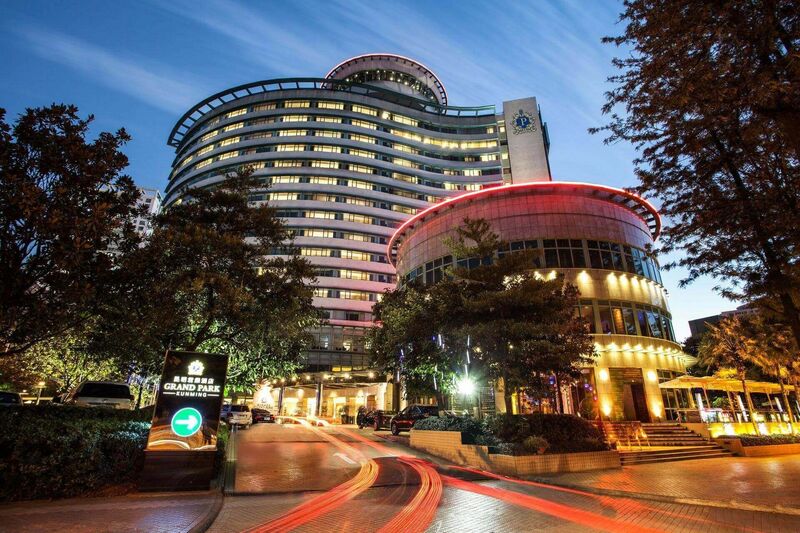 Welcome to Grand Park Hotel Kunming! The landmark of Kunming is a 21-storey building with its façade in the shape of a ‘wave’ located in the middle of a lush green vegetation centre. With superior leisure and business facilities, it is the top international luxury hotel in the city. Book your stay directly from our website and enjoy seven exclusive privileges! Book early and enjoy our special online rates. Save Up to 20% off our Best Flexible Rate on 30 days advanced bookings Up to 15% off our Best Flexible Rate on 14 days advanced bookings Up to 10% off our Best Flexible Rate on 7 days advanced bookings CNY20 off our Best Flexible Rate on 3 days advanced bookings Book your stay directly with us and be rewarded with 7 exclusive benefits. Grand Park Hotel Kunming is equipped with 300 suites and rooms, ranging from 34 to 207 m2, with a picturesque view of a garden, the modern city or the exquisite Cuihu Lake Park. The natural and elegant interior design matches perfectly with chic wooden furnishing. Each room provides complimentary high-speed Wi-Fi, cable TV and minibar. Crystal Club members enjoy exclusive personalized services, including private dining and check-out, complimentary laundry and other privileges. Grand Park Hotel Kunming strives to create a home-away-from-home for every single guest complete with swimming pool and a well-equipped fitness centre, perfect to start off a great day. Nuanced in flavour, the famed chinese tea is more than just a beverage. It is an iconic product.